I just got back from a week on Nantucket and I have to tell you that I had the BEST time. I tried to capture as much as I could on my Instagram stories, but I KNEW that I needed something a bit more SOLID for my readers. 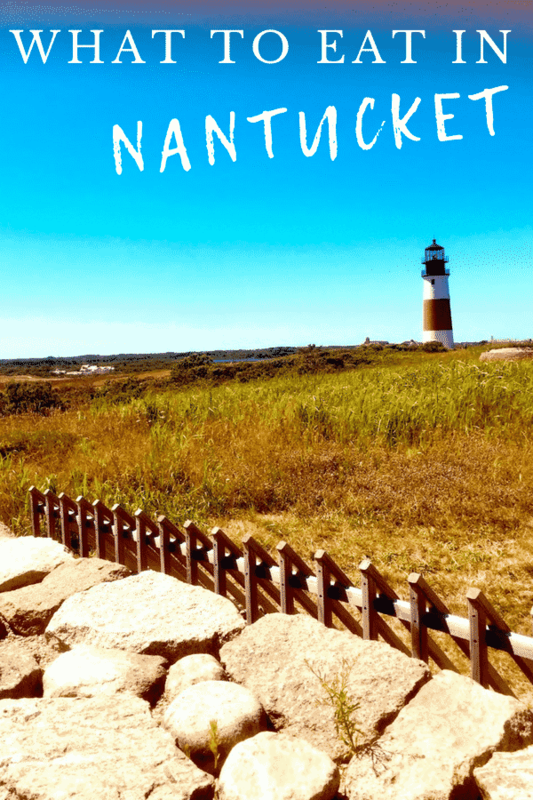 I feel like God put me on this Earth so that I can push people to visit Nantucket. It’s like …my calling. Some people were placed on this planet to become doctors or teachers. Me? Literally as a means to get you onto a ferry so that you can eat all the below food until it hurts. It doesn’t count until you get sick, right? I’m just kidding… that’s just what Bill thinks. Ok! Back to the island. There are parts of the island that feel a little bit like you are walking straight onto the set of a Vineyard Vines commercial. If you own anything from that brand, pack it up and place it into your suitcase RIGHT NOW. Lilly Pulitzer too. That’s the vibe. I’m not that girl... I’m more Free People than Lilly. And just so you know… IT DOESN’T MATTER WHAT YOU WEAR. I’m just warning you and giving you a little idea about what you will walk into should you decide to plan a trip. 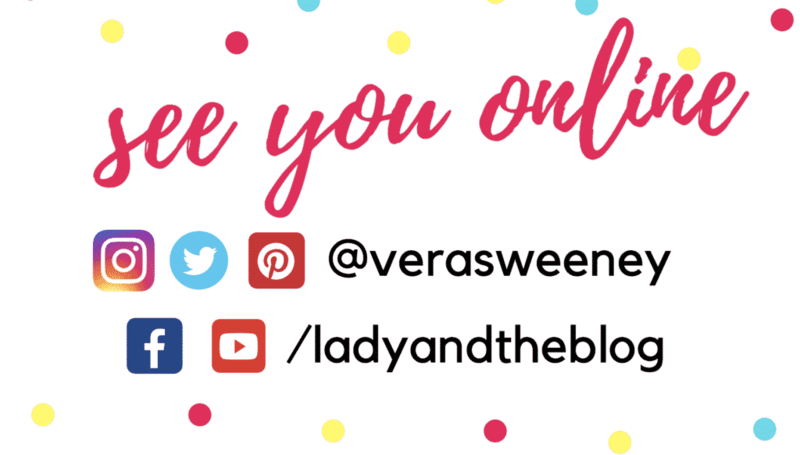 I like to know these things ahead of time… maybe you do, too?? Nantucket has New England’s style but times 9 trillion. 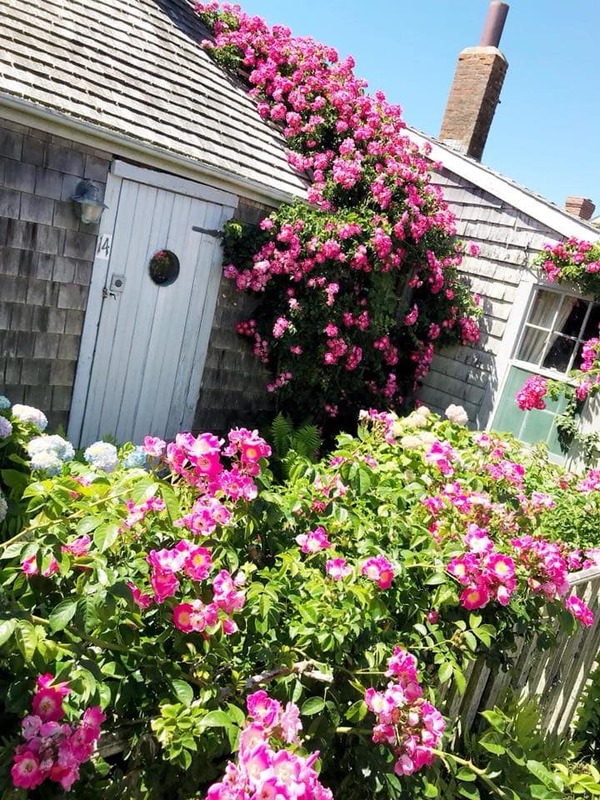 Twenty years ago, Nantucket was a quaint little island that people got away to in order to enjoy some peace and quiet. Nowadays, it’s where all the big wigs go with their families to “summer”. Ya feel me? But I was lucky enough to vacation with some locals. 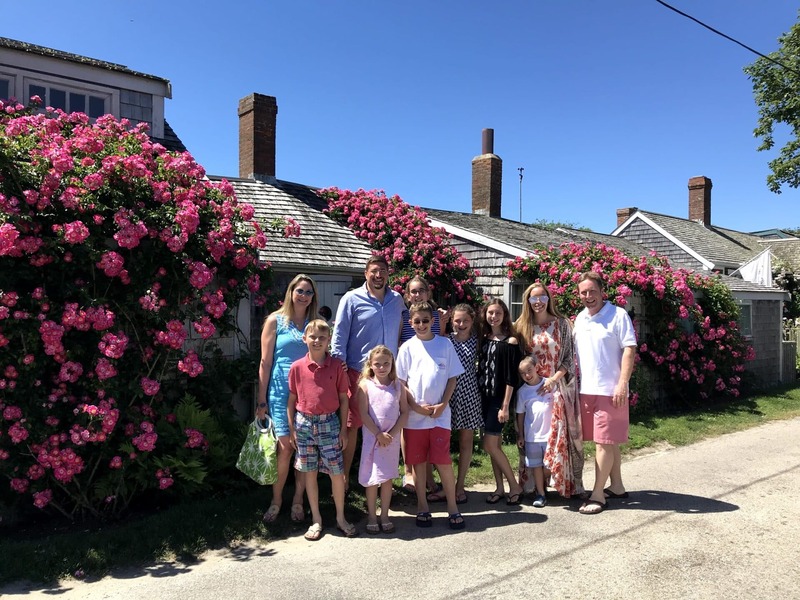 My friend’s family has had a house on the island since the 30s and they’ve been spending several months a year on Nantucket – WAY BEFORE the new crowd landed. So, they took us around and steered us clear from any chaos. And you know what? It was glorious. I never felt overwhelmed or like a sardine. Even on the 4th of July!!! That morning, they told us we were going to a beach to watch the fireworks. I imagined it was going to be a nightmare. But they knew when to go, where to sit, and what time to make reservations to eat. It just all worked out. I had ZERO stress this vacation and we went during one of the busiest weeks of the YEAR. Enough about all of that – let’s get to the places you should eat while visiting Nantucket. These Nantucket restaurants were all GREAT. I wouldn’t include them if they weren’t! 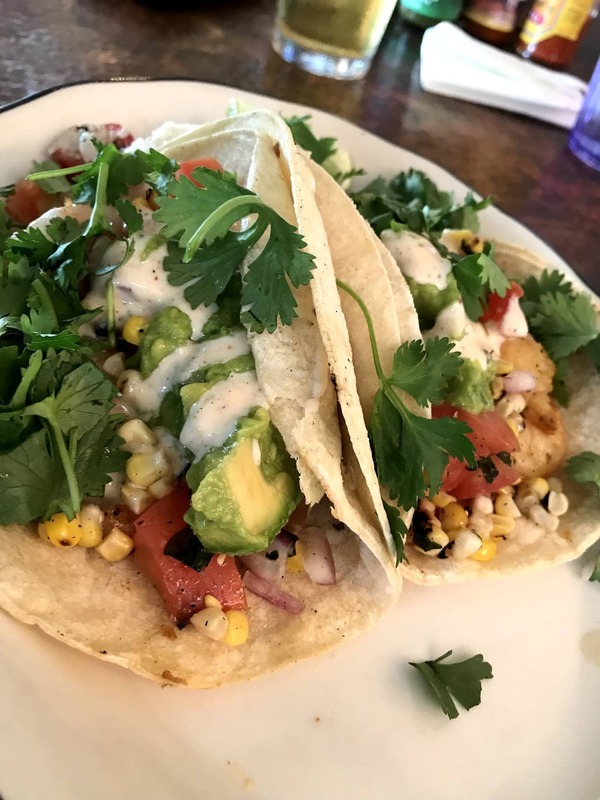 If you are planning a trip to the island, consider these Nantucket restaurant picks! If you know your dates, I would call ahead and make reservations just for peace of mind. I’m not saying that you NEED reservations at all of these places. HOWEVER, we had them and it was one less thing to worry about. These are not high-quality pictures. 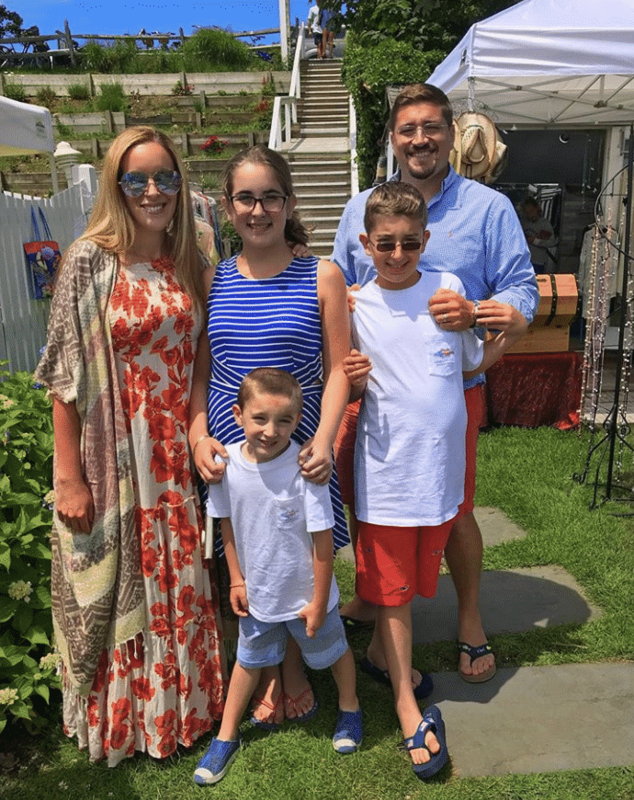 I was on a family vacation and didn’t really want to worry about blogging. This post was secondary. My memories with my children and my friends came first. I hope you don’t mind the images. It’s more about the content and guiding you towards the right places to eat. 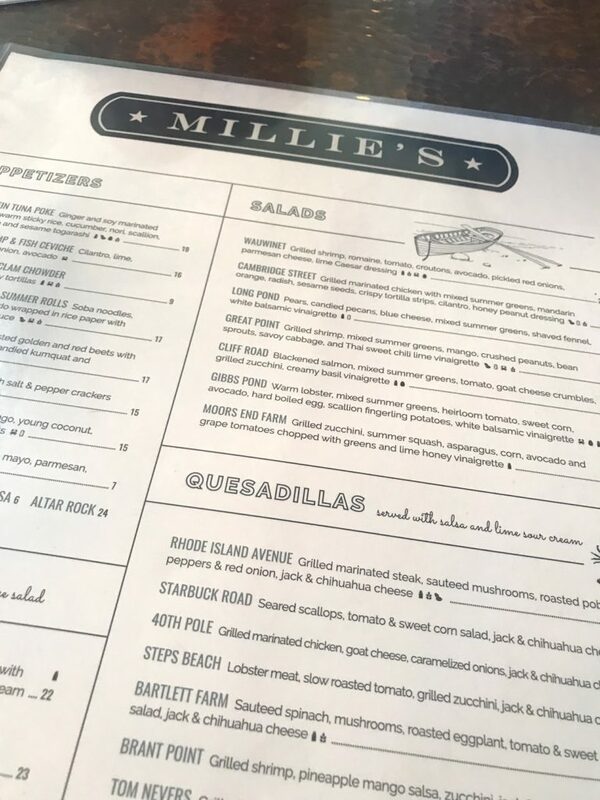 You need an Uber or a car to get to Millie’s because this Nantucket restaurant is at the edge of the island. We brought our car over on the ferry, so it wasn’t an issue for us. Thank goodness we did because all of our meals were spectacular. This is a sunset restaurant. The second floor is lined with windows and you can absolutely take advantage of that if you time your reservation correctly. The first floor has a great bar for watching sports games, but I will leave that up to you. 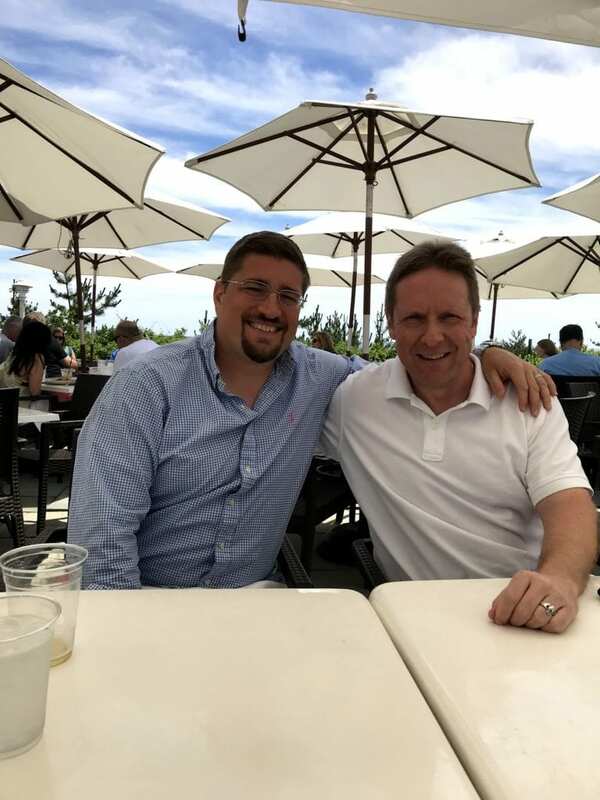 We had a party of 11 and took a huge table in the center of the top floor and enjoyed taking in the views of the water along with all that sunshine. 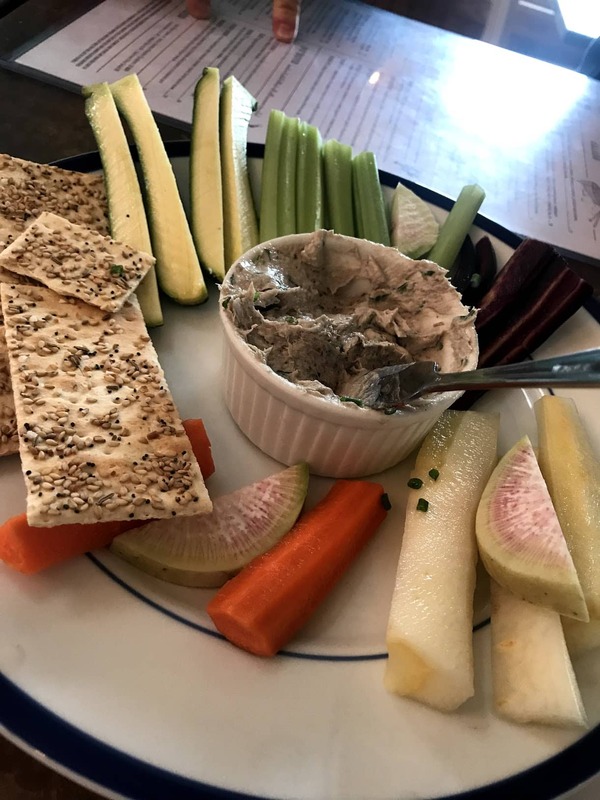 The bluefish pate was incredible. I was afraid of it in the beginning – not going to lie. 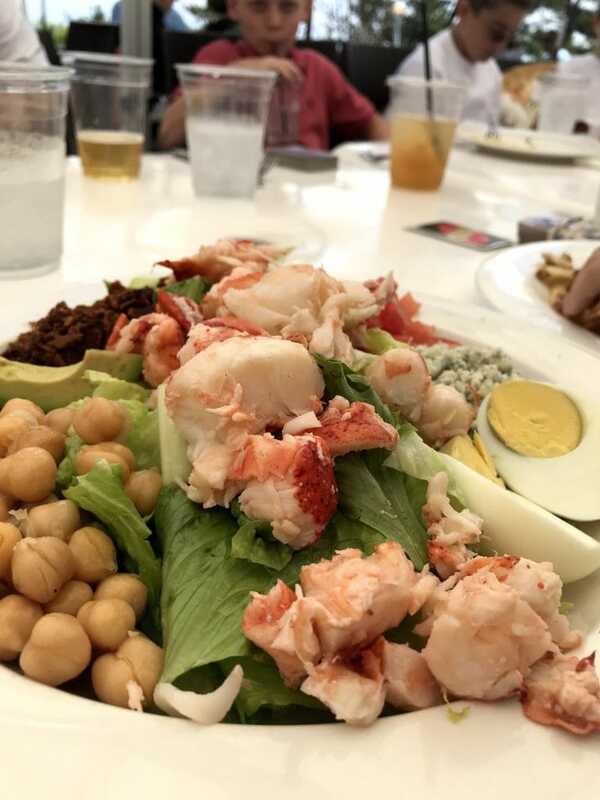 I never ate anything like that before, but while in Nantucket… you do as the Romans do. Wait, that’s not right. You know what I am saying. Everything was super fresh and unreal. I would absolutely order this for the adults as a first course. We got the kids the guacamole and chips appetizer which was also delicious. End result – you can go wrong here. A few people got a variety of these quesadillas and I think we all saw Jesus. I don’t know. I can’t confirm anything, but it was that good. One friend we traveled with is on Weight Watchers and he kept trying to be all healthy during our trip. I wish I was as strong as him! I kept asking for my waiter to fry things that physically couldn’t be fried. But my friend always managed to eat something decent no matter where we went and even his healthy choices were GOOD. I mean – come on!! Doesn’t that mean something to you? Even his healthy shm-ealthy meals were delicious! Meanwhile – my husband was NOT on Weight Watcher and was living a very different kind of vacation. Look at what he ordered while at Millie’s. The biggest and BEST Po’ Boy you have ever seen in YOUR life. WHATTTT????? In case you are wondering, Bill ate the whole thing. The whole damn thing. 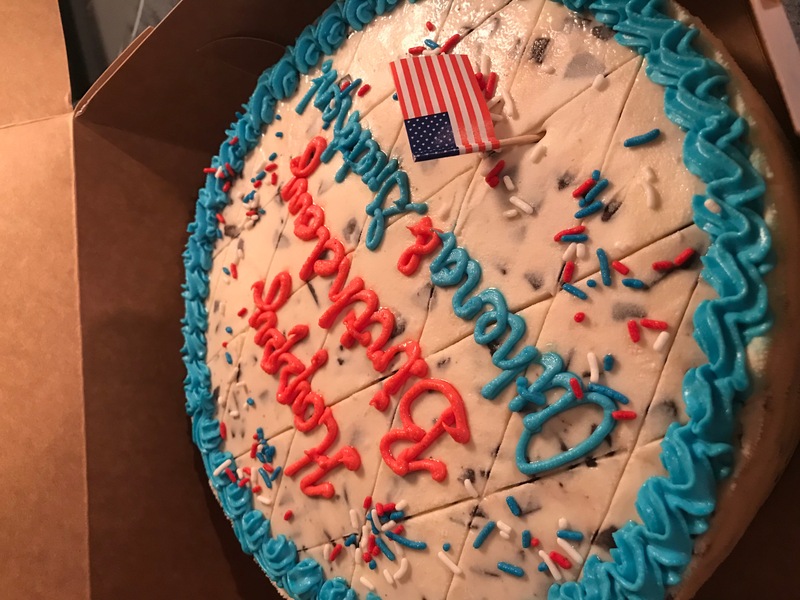 Sorry guys, but I don’t have any photos of what we ate while at the Sandbar because it was the 4th of July and we were living our best lives that day. I was truly on vacation during this dinner and we were sort of concentrating on the fireworks show with the kids. 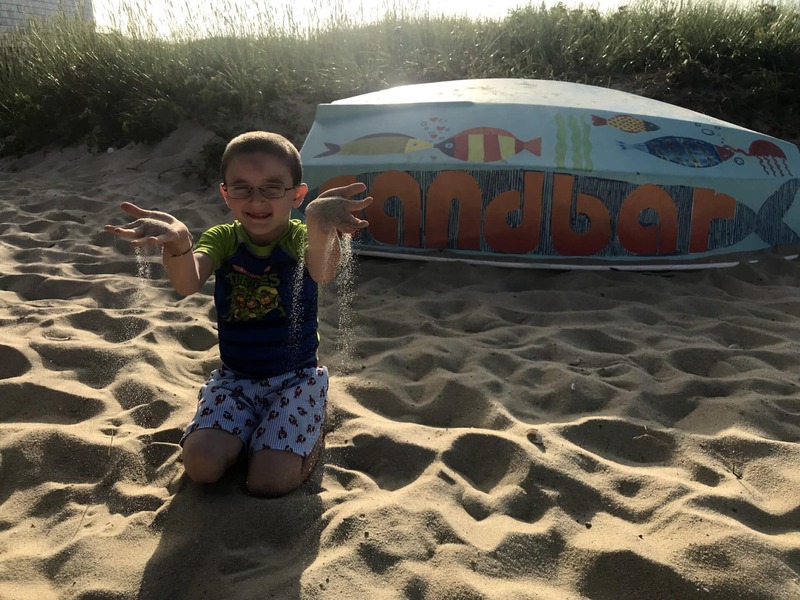 Sandbar is right on the beach and is super casual. There was a live band, though I am not sure if that happens every single day. We made a reservation because we were such a large party and if I am being honest with you I would do the same because it was PACKED. People were getting turned away and you really don’t want to leave the beach once you are there to go and look for a meal. If the kids are done eating early, there is a park right across the way. We let them all just run over and play while we continued to drink and enjoy one another. It was such a nice night out. Not every table has sun coverage. We weren’t so lucky. If you need to have an umbrella, make sure to ask for one. This was a great place for our entire party to enjoy breakfast. The kids got pancakes and french toast. You had to pay extra if you wanted fresh maple syrup which I thought was a little bogus, but other than that, everything was divine. Fresh orange juice! Anything from tofu scramble eggs to Morrocoan eggs to Avocado toast (which is what I had) to THIS. My husband was SO HAPPY with his meal. There were a ton of options that had that Tex Mex feel. I would say these are the top picks from the menu if you were to ask me. I’m not kidding – it was a fantastic place to eat and it had a pretty nice parking lot. 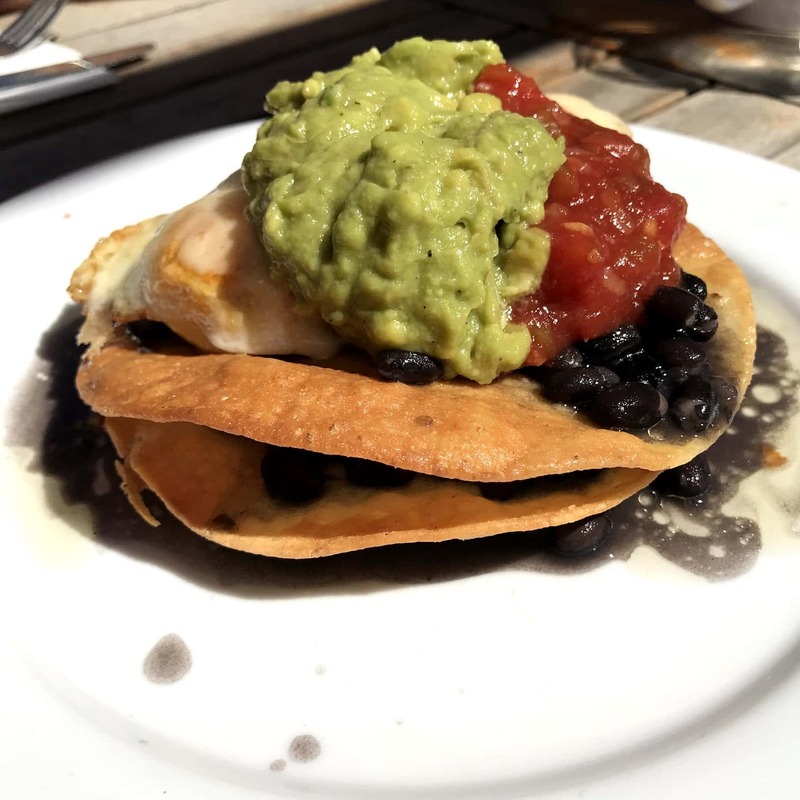 Two people that we were with got the Huevos Rancheros and they practically licked their plates. If the restaurant wasn’t so packed… I think they would have actually done it. LOL! This was a GREAT place to eat because the food was delicious and the atmosphere felt a little LA and a little Nantucket. I’ve been to LA a dozen times and it felt a little bit like the scene but a place where the scene goes when they don’t want to be seen. Does that make sense to you? It felt SPECIAL but not stuffy. It felt like I was instantly on a West Coast vacation. I didn’t feel like I was on Nantucket while I was in this space. I literally felt like I was in California – maybe Malibu? I can’t place it? I don’t know. The vibe was spectacular but it wasn’t over the top or pretentious in any way. It was just right. I really loved it. We had 7 kids with us. You need to understand what I am saying. This isn’t rich and celebrity crazy. But it felt like just a little bit more. This could be your “nice lunch” while on the island. Or you can show up in shorts and a tank. There was a little bit of everything around us. Truly! 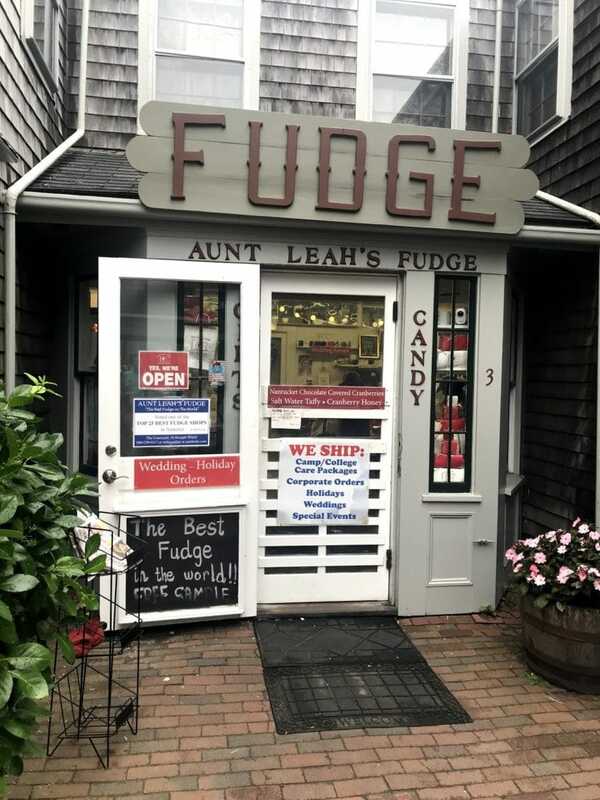 Either way, it’s definitely someplace to visit while on Nantucket. 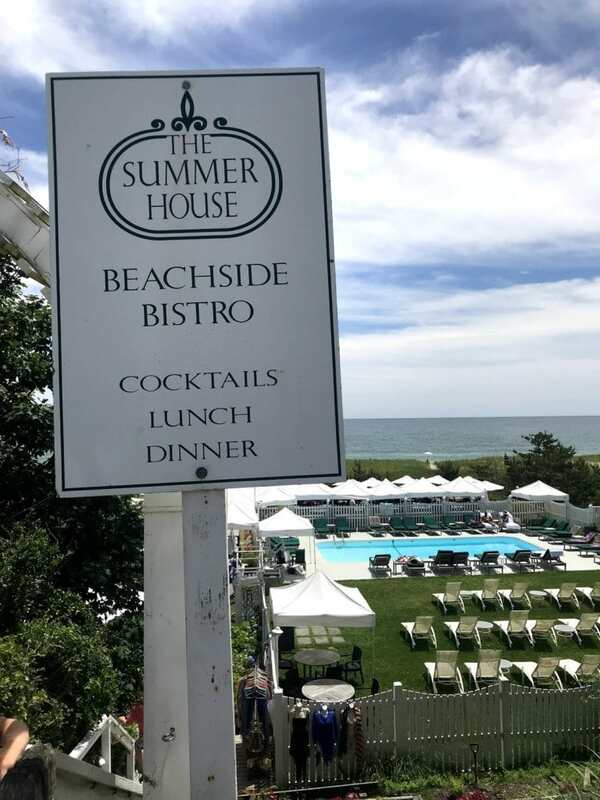 Put Summer House on your list of places to eat! Naturally, there is plenty of fresh fish to choose from. Almost everyone around me opted for it, especially lobster. I had my fair share of lobster while on the island. During this Nantucket restaurant lunch, I chose to get their steak and devoured it! Even the family next to me asked me what I was eating and then ordered it. The kids all had pizza or pasta and were absolutely satisfied. I heard there are tables right next to the water. You should call ahead to see about getting those if interested. However, I did like the ones we had right at the foot of the steps because they were all shaded by umbrellas. We had a pretty spectacular weather day, so we didn’t need them. But I appreciated the coverage either way. Another amazing dinner that I didn’t take any picture. Yeah! Go, blogger, go! Sorry, I was having such a great time that I forgot to document what I was eating. You know what they say… if you didn’t take a picture, did you actually eat it? EEK! I don’t know the answer? All I have to tell you is to get the SWR CLAM BAKE. You will thank me later. It is pretty much a lobster bake but deconstructed. Some might say this was the best meal of the trip. The atmosphere of this restaurant was really nice for dinner. If you can, ask for a view of the water. It’s right in the back and very quiet. So very lovely. Here is a super old lady warning: the bar and the restaurant are two totally different vibes. There are 8,000 24-year-olds at the bar. It is crazy town. However, the restaurant is more high-end. They literally don’t go together? The whole thing is confusing to me. I almost didn’t believe they were both the same establishment. This isn’t a place where you can go and “sit at the bar” while you are waiting for your table because you literally cannot walk into the bar. It is overrun. At least, that’s what I found on the day we went. Now, get off my lawn and sit down so I can tell you about how many miles I used to walk to school in the snow with no shoes!! Grumble Grumble. Grumble. But do NOT let that deter you from going to this restaurant. It was DELICIOUS! This is actually a funny story. We were coming off the ferry and passed a store called “The Juice Bar” and found a line about 50 people deep. I immediately thought that Nantucket people were CRAZY. How HEALTHY could the island be?! Right?! What is the RUSH to get a smoothie? Anyway, that was my initial thought. We drove to my friend’s house and I told her about the lunatics all trying to get kale and she laughed at me! She said that it wasn’t kale … it was Rocky Road. The Juice Bar is ice cream NOT a HEALTH STORE and then suddenly I WAS A LUNATIC and desperate to try all the amazing flavors that the Juice Bar had to offer. WHAT WAS SO SPECIAL OMG I NEEDED TO KNOW!!!!! Luckily, my friend was two steps ahead of me. 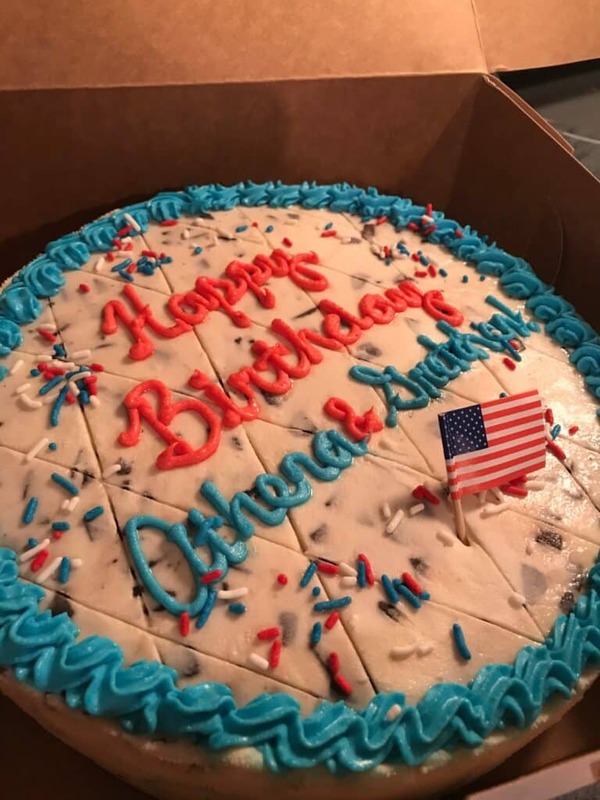 Her daughter was turning 13 and she already pre-ordered an ice cream cake from the store. It was already in the freezer. She already knew that I had to experience it as one of the places on our vacation list. This is what happens when you know good people, folks. This is what happens. I think I sobbed right then and there. It was delicious. And by the way, when we left to go home via the ferry, I waited in the car and the kids and Bill ran back out and grabbed everyone cones for the ride home. Give yourself enough time to do that!! 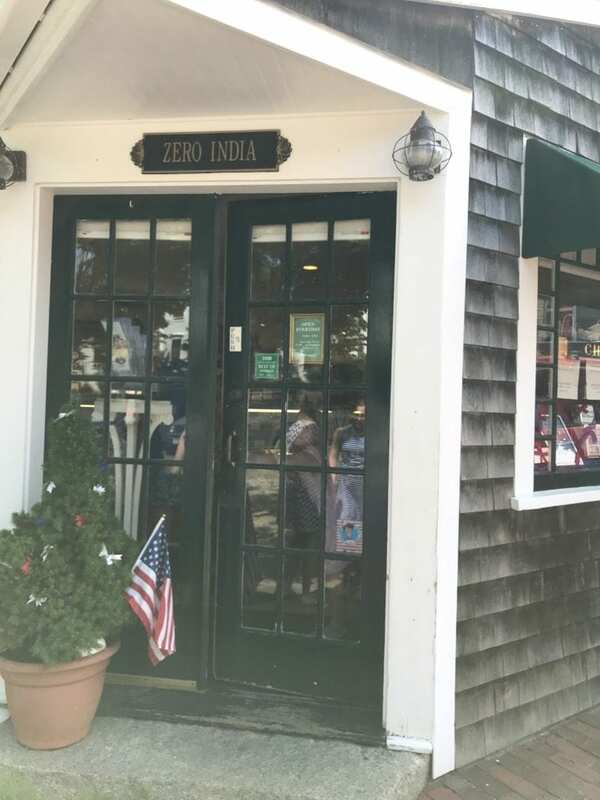 We picked up our souvenirs from Zero India because our friends told us they had the best chocolate on the island. We were lucky enough to have pretty spectacular guides and so we listened to whatever they told us. Thank goodness we did! When you walk in, you could smell the richness of each of the pieces and you were even greeted with a few free samples. YUM! 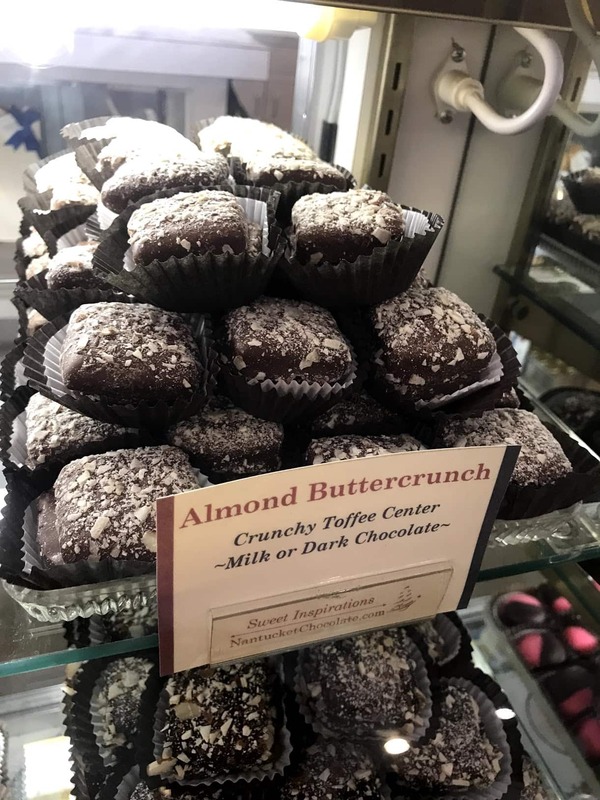 I’m not going to tell you what to do… because chocolate can be a very personal experience… but I want to ask you to at least TRY one of the Almond Buttercrunch when you get onto Nantucket. I would hate for you to leave and not get to enjoy this sweet treat. When will you get back to the island? THINK ABOUT IT THAT WAY! We got each of our mothers a 4 pack and a few other small boxes and called it a day. Nice and easy. These would also make great gifts for dog sitters and for neighbors who watched over for mail packages. Full confession – I hate when people say things like “world’s best” and I think it has something to do with the fact that I was born and raised in NYC. Every corner you will find the “world’s best cup of coffee” or the “world’s best slice of pizza”. It’s like the boy who cried pepperoni over here! So, when I saw that Aunt Leah was in her corner saying that she had the world’s best piece of fudge, I was already over it. I’m just being honest!! But my entire family was GAGA over her tastes! They each walked away with a cut of their favorite flavors and YES, the place also offers free samples – so you can go in and taste before you decide what you’d like to purchase. It’s also a great mom and pop shop which I always love to support! I would definitely walk in and give her a go. And I know this is a food only post, but I fell in LOVE with the store right next door. She is a chick from Brooklyn and we became instant BFFs. I bought all my clothing souvenirs from her. O&Co!!! Oh my goodness, I am telling you secrets, now! This is a local favorite that not many tourists know about because it literally makes NO SENSE. LOL! 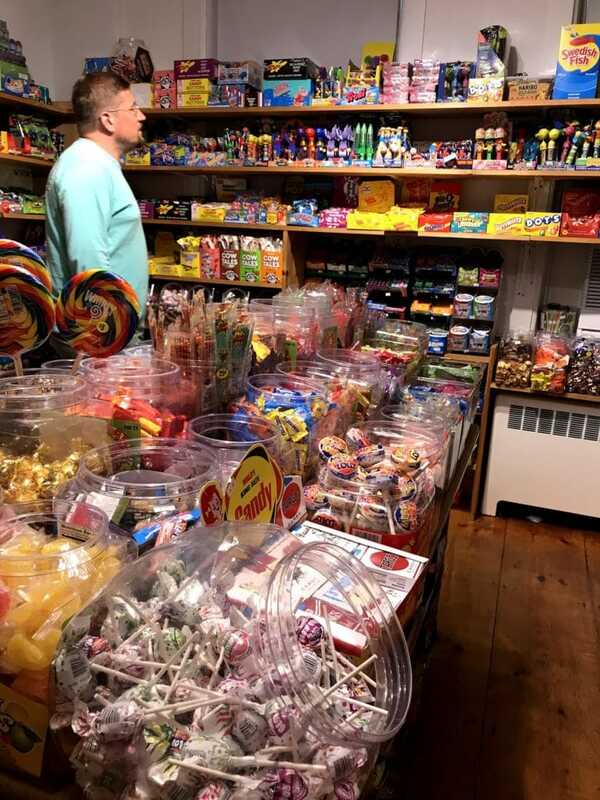 In the back of Force Five Water Sports – third room in – you will find a FULL CANDY store that sells all old time candy!!! The greats. The ones that are going to make you all nostalgic and silly! Don’t worry – they have a bunch of new stuff for the kids, too. You have to get there. Every sentence in this paragraph originally had exclamation points and I literally had to go back and replace them with periods because I was just SCREAMING AT YOU the whole time. Pro tip: Make this a rainy day activity. It will give the kids something to look forward to. Ok, folks – this isn’t a very fancy restaurant but the portions are legit ridiculous. The pizza is as big as my 5-year-old. I shared a chicken parmesan pasta thing with my 11-year-old and we had leftovers to spare. Bill didn’t even put a dent in his meal and that is downright shocking!! My point is don’t be afraid to share plates – especially if you have little kids!! Even the kid’s plates are HUGE. Also – do not leave without ordering the clam chowder. 2005 — The restaurant undergoes extensive renovations, retaining the existing 1840s whaling bar in the basement, and adding another seating area on the first floor and patio seating to the rear of the building. This increased seating at the restaurant from 75 to 212. So, there you have it! The basement really does have that 1840s vibe. Not that I am all up on what happened in the 1840s… but it FELT LIKE IT, OK! It was a nice experience. If you go, get reservations for the basement. We were the families that came with 9 million kids in a sea of millennials. Whatever – I don’t care. I had fun and that’s all that matters. Bring your kids and a few card decks. It will all work out. I wouldn’t stay ALL DAY but they will survive a few hours. YOU HAVE TO GO. The food here is surreal. The drinks are great. I don’t drink beer but I LOVE cider and you can find some great options for cider, vodka, wine, and beer. Enough about the drinks – I want to talk about the food. OH MY WORD – insane. INSANE. I can’t believe I didn’t take a picture of my dumplings. My fresh (I had to wait 10 minutes for them to be made because that’s how fresh they are) chicken dumplings. OR my lobster roll. Or my SICK soy and sesame edamame? I mean … what is going on? My phone must be hacked!? Or I ate the pictures too because I wanted to relive the experience one last time. There are food trucks and kiosks set up throughout. You just get on a line and order what you want and then head back when they tell you to come. Amazing!!! I am telling you. 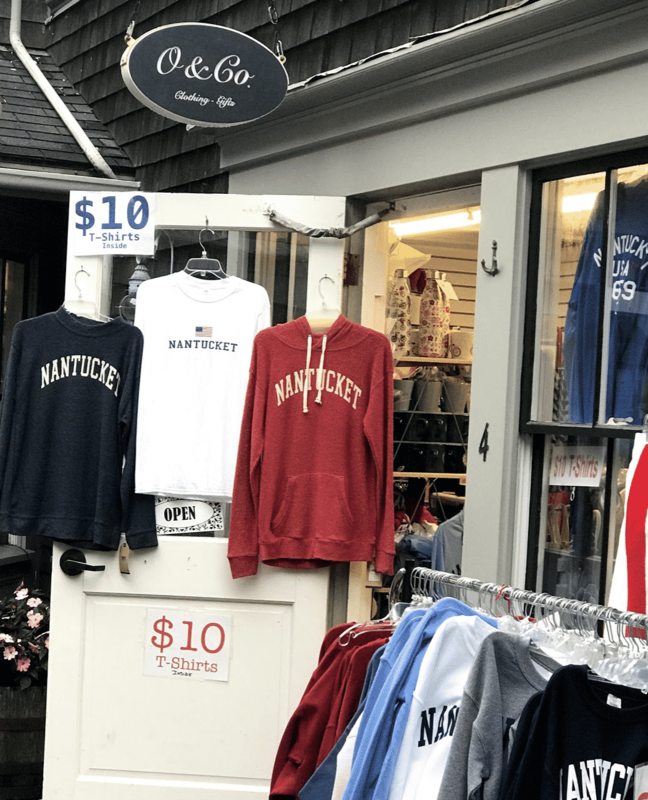 Do not leave Nantucket without visiting. I heard there are shuttles from town in case you don’t have a car. I’m going to warn you one more time that this place gets very busy. I’ve taken the tour once or twice – it’s pretty cool. If you have kids with you, I would skip the tour. If you don’t, I would call ahead and see if you need a reservation. They are also known for their blueberry vodka. Make sure you bring home a bottle. If you’ve visited in the past, trust me – they’ve added a TON of food. The last time I went to Nantucket was about 5 years ago. A lot has changed for Cisco. 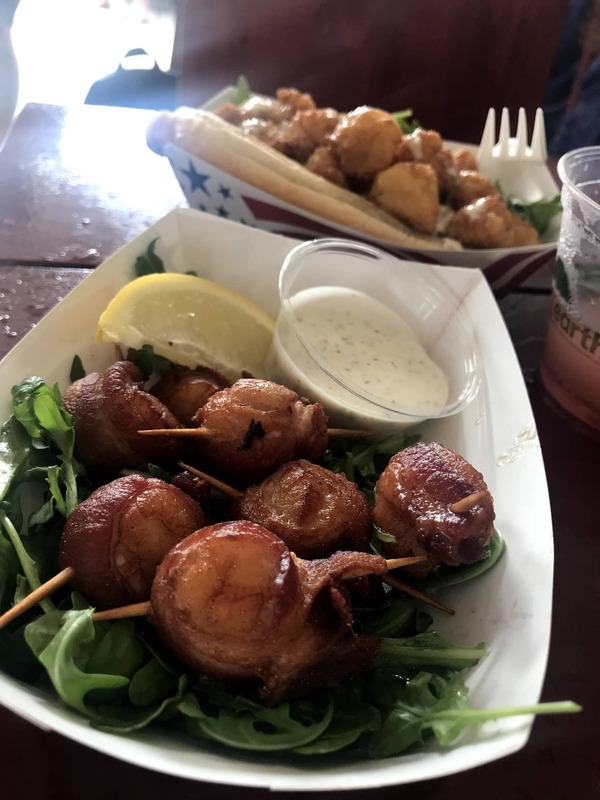 In case you wondering the photo is bacon wrapped scallops and they were delicious! 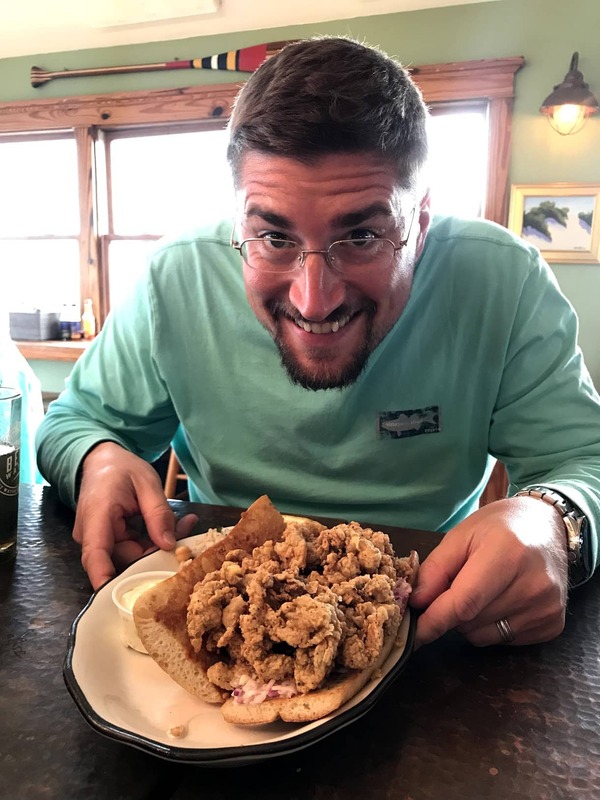 I’m going to end this post where it all started – the very first meal we enjoyed on Nantucket and it was an EXCELLENT ONE. I actually still think about it… like a long lost lover. 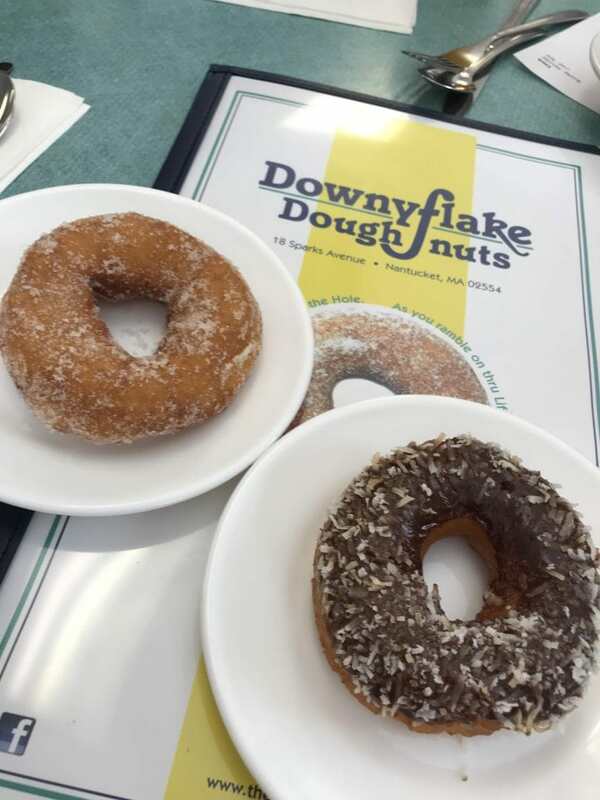 The Downeyflake has some of the best donuts I’ve ever had in my entire life. I’m not even kidding about that either. Literally, this is not a test. This is for REAL. You have to tell your waiter that you want to wait until the new batch comes out. You have to tell your waiter that you want to be told as soon as the batch comes out of the kitchen… and then…. you order two of them EACH OMG. You will get served the warmest, freshest donut on the East Coast. Lord have mercy!!! Please forgive me for loving something so much! I actually was so upset that I ordered a regular breakfast because deep down in my heart… I just wanted 4 more donuts. Who needed pancakes and eggs? Not me!!! I needed glazed donuts!!! The newest flavor to hit the market – I believe – is chocolate coconut. So, just ask your waiter what’s on the menu for the day and get five three two one of each!!!!! I hope you enjoyed this post and that it gave you some inspiration! I’m going to another write up about places to visit, but to be honest with you… we spent most of our time EATING and I don’t even feel shy about admitting that. This is the MAJORITY of what I have to say about Nantucket. 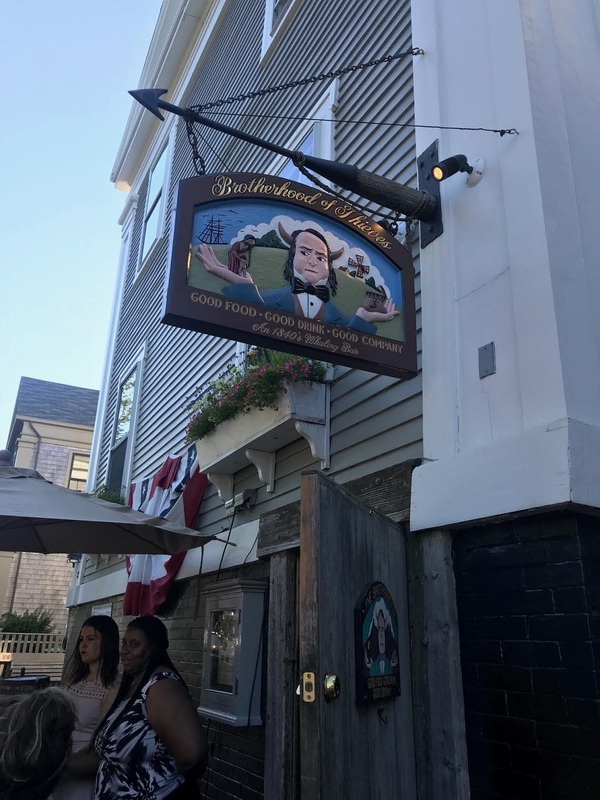 These Nantucket restaurants were really GREAT and I hope to get back there someday to visit them again. For more travel content, click here. OMG — I want to visit all these restaurants on Nantucket. And count me in for zero stress. Now I’m dreaming about that Po’ Boy!